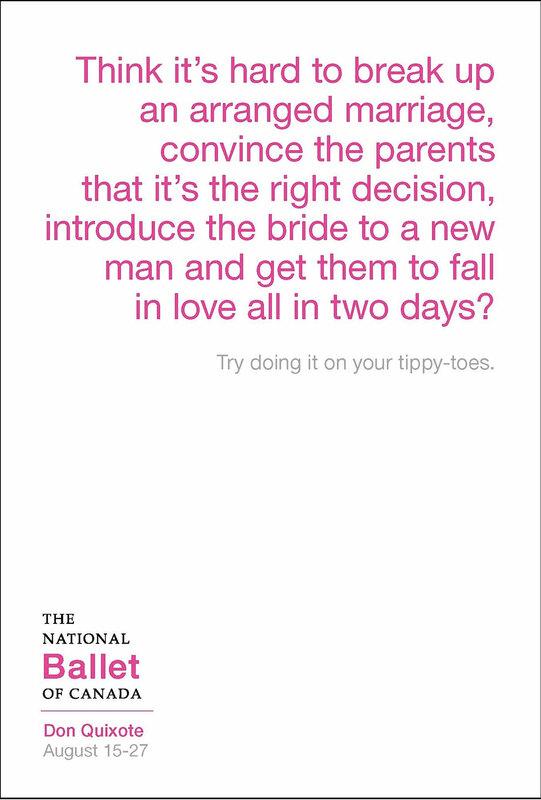 The National Ballet was having trouble selling their art. We recommended they focus on the story and hint at the dance. Ticket sales increased by 7 percent, and walk-up ticket sales increased by over 12 percent. 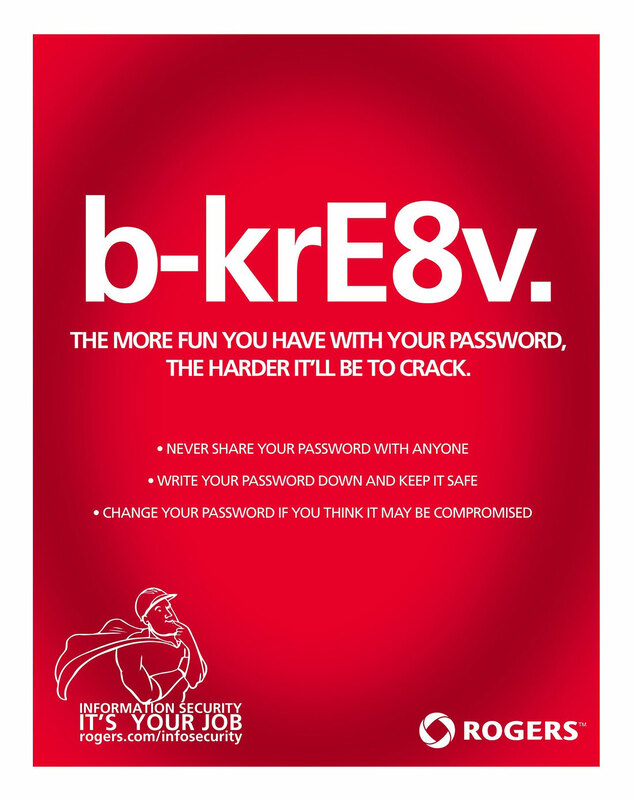 Rogers was seeing an influx of security breaches due to poor employee compliance. We took a friendlier approach to delivering the message. IT managers noticed an immediate behavioural change. Workopolis was launching an arm of their business geared to students. We took a more youth-centric approach with fun reasons to look for jobs. Traffic to Workopolis Campus shattered projections during the campaign’s run by more than 15 percent. 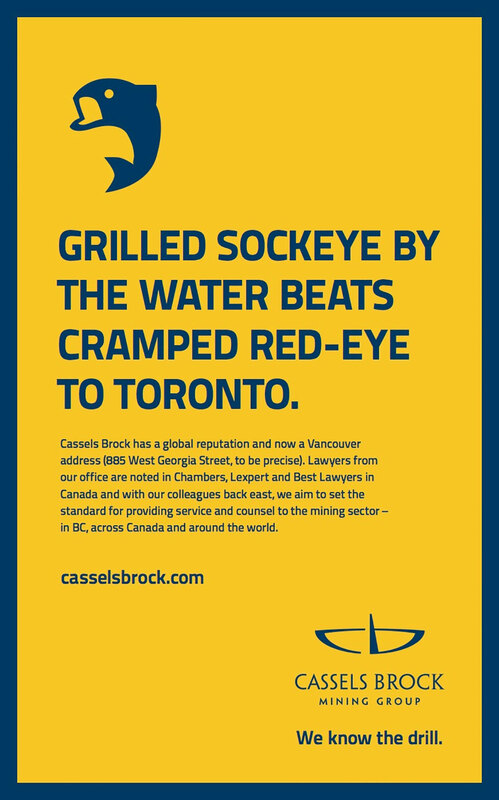 Cassels Brock was opening an office on the Pacific coast and they wanted to catch some big fish right away. 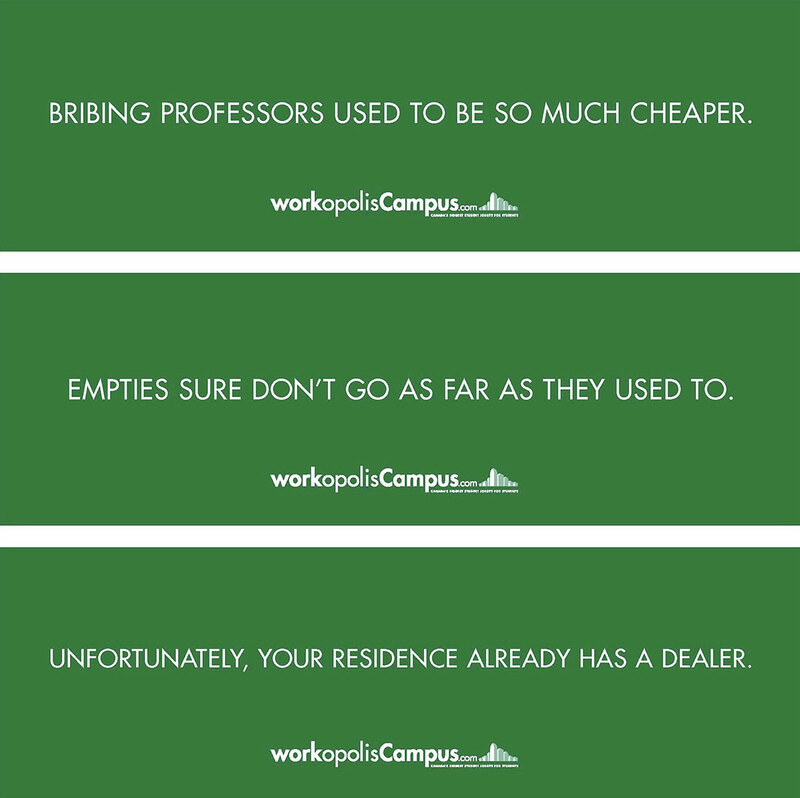 Rather than create an ad that sounded like it came from a law firm, we gave it a more irreverent feel. The communication helped lead to a very successful first year. Having U of T on a resume means something. The ask for this project was to convey that without tooting the university’s horn too much. Our solution was to toot it gracefully. 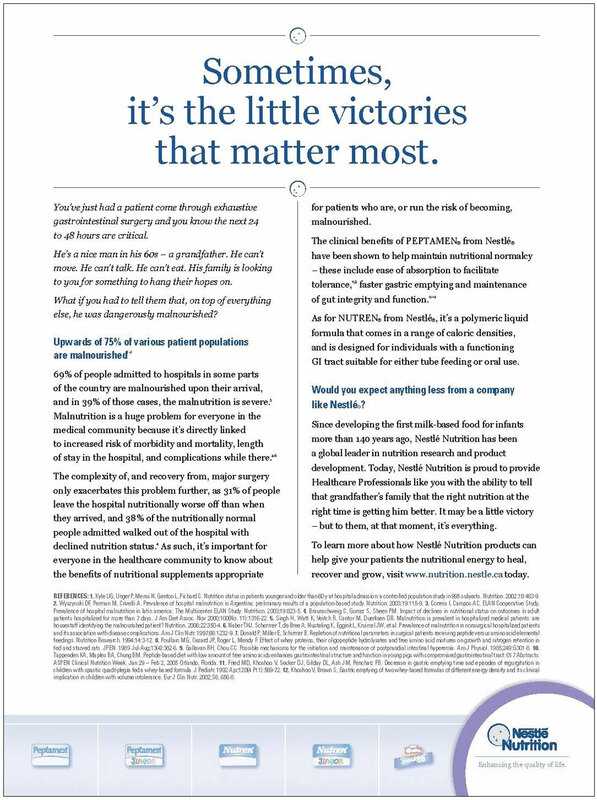 Nestlé Health was shifting their marketing effort from doctors to families. They engaged us to research their products and create credible stories that resonated with consumers. We did, and brand recall improved by double digits. The Greater Toronto Airport Authority had a robust community development program that nobody knew about because it lacked a brand and a voice. We gave it both. The program’s profile rose dramatically as did the financial commitment it receives. 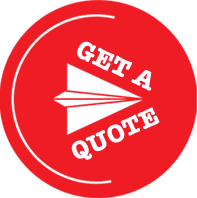 Mediative’s offering wasn’t being conveyed clearly on their website. Visitors weren’t finding what they were looking for and were leaving prematurely. We created a more digestible message flow, and the executive team was thrilled. 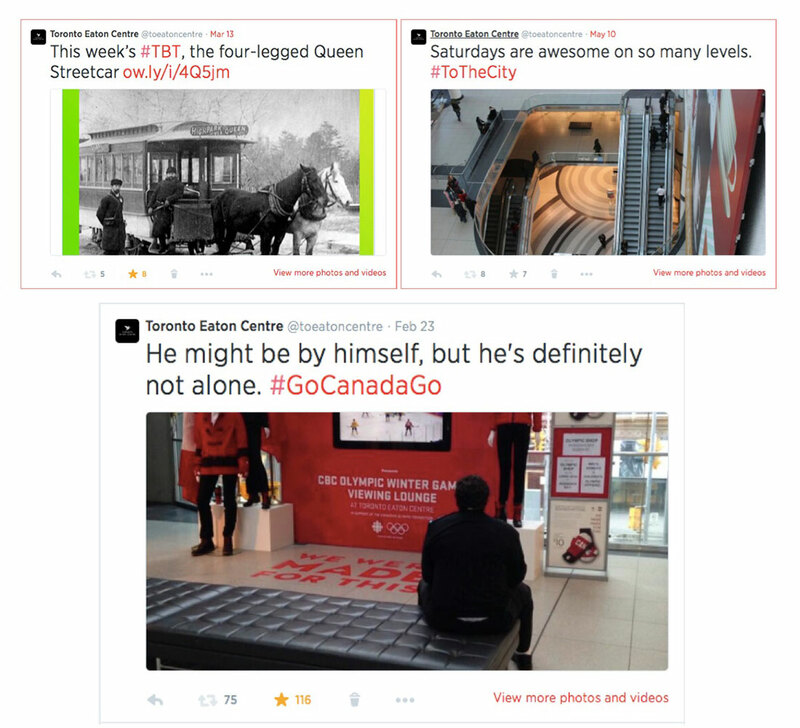 The city’s biggest shopping centre wanted their Twitter channel to be a mixture of in-the-moment reporting and support for their 200+ retailers. We did both, and increased their follower numbers by 30,000 in one year. Prior to a 10-figure renovation investment, this shopping mall wanted to position themselves as midtown’s one-stop shop and a community hub of activity. We started with what made them different and went from there.